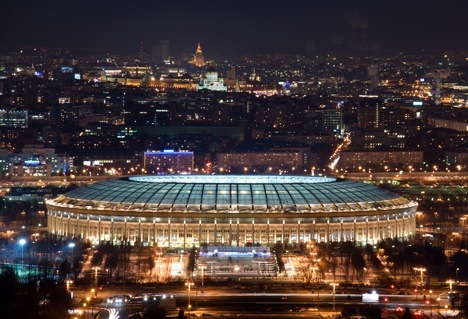 The 2018 FIFA World Cup will be a perfect time to visit Russia, with the country opening its doors to football fans from around the world. A trip to Moscow, around the Golden Ring and to St. Petersburg is a must. Immerse yourself in the treasures of Old Russia and experience the zenith of modern Russia in its two greatest cities. In Moscow, the grandiose Kremlin and Red Square alongside the vivid colours and intricacy of the onion domes of St Basil's Cathedral is something to behold. After the sights of Moscow, a short trip to the ancient towns of the Golden Ring, will leave you surrounded in relics of Russia’s past. These hidden gems have a lot to offer visitors who can experience the preserved wooden architecture, buy traditional crafts as well as meet the locals renowned for their hospitality. The last stop on your journey will be the Venice of the North, St. Petersburg. From the colourful domes of the Saviour on Spilled Blood, to the grand halls of the Hermitage and Imperial estates, the magnificence of St. Petersburg will take your breath away. Volgograd is famous for its epic ‘Родина-мать зовёт!’ (Rodina mat’ zovet) monument. Standing on the Mamaev Kurgan, the Motherland Calls is the tallest statue of a woman in the world and was erected to commemorate the victory of the Soviet army in the Battle of Stalingrad. Volgograd is easy to reach from Moscow by overnight train or plane with direct flights under two hours. Kazan, the capital city of Tatarstan, has opulent palaces, magnificent churches, and a thriving cultural scene. Its hallmark, the Qolşärif Mosque (also known as Kul Sharif Mosque) is one of the largest mosques in Europe. This architectural landmark defines the past, the present and the future of Kazan. The author is COO of Travel All Russia - a destination management company for Russia. If you’re interested in visiting Russia in 2018, sign up for the waiting list of Travel All Russia World Cup 2018 travel packages.